Could Stronger Resilience Promote Better Health? Could greater resilience reduce a person’s need for health care services? James E. Stahl, MD, MPH, and a team of researchers at the Massachusetts General Hospital Benson-Henry Institute (BHI), noted that poor psychological and physical resilience is often associated with an increased use of healthcare services. Since research consistently shows that mind-body interventions can be effective in reducing stress and increasing resilience, Stahl and his team wanted to see if a resilience training program could reduce the demand for health care services. To do this, they created a retrospective, controlled pre/post intervention database analysis of patients who received care at the BHI from January, 2006 through July, 2014. What this means is that the researchers collected and analyzed data from former patients. They classified some patients into a control group, and then compared their health care usage against a group who had participated in the BHI relaxation response and resilience training program (3RP). The 3RP program includes elements of meditation and mindfulness exercises, social support, cognitive skills training, and a focus on developing skills to reduce stress responses, promote relaxation, and enhance resilience. Stahl and his team theorized that patients who had participated in 3RP used fewer healthcare services than had those in the control group. To test their theory, they compared the number of billable encounters and services used by patients from each group, over the course of a year. The researchers compared utilization rates before and after patients participated in the intervention, and also against those of patients in the control group. They then broke down and analyzed usage patterns by function, such as clinical, imaging, laboratory, or procedural services. They also looked at patients’ class of chief complaint, for example, Cardiovascular or Gastrointestinal, as well as site of delivery, such as emergency room or urgent care. At one year, overall use of health care services within the intervention group decreased by 43%. In addition, emergency room visits by those who had received the 3RP training decreased from 3.6 to 1.7 per year. When compared to patients in the control group, those in the intervention group showed significantly less utilization of health care services across all functional, site, and clinical categories. Now this could be very good news in terms of reducing health care costs. Mind-body interventions such as 3RP can be administered at relatively low cost when compared to the cost of an emergency room visit or hospitalization. Of course, as with any study, it’s important to consider its limitations. In this case, selection bias could have been introduced based on how subjects were defined. In addition, researchers were limited in their selections by having to make assignments based on existing categories in the hospital’s database. But I tend to agree with the authors’ conclusions. Mind/body interventions offer low risk, minimal cost, and yield the potential for substantial health benefits. If you’re interested in checking out the study, you can find it at PLOS One, doi.org/10.1371/journal.pone.0140212. Now I’d like to hear from you. How do you think resilience training could benefit your patients? & pathways to live with much needed compassion. no doubt boosts mental hygiene. I believe that training people when they are young to use skills that enable the body to relax and return to a more healthy state is essential for well being throughout life. Helping more adults to do the same can only improve health on all levels. We know the body includes the mind and is greatly influenced by activities that are performed on purpose to benefit health and well being. Resilience training is part of a spectrum of knowledge we can use to assist our bodies with healing and recovery. Skills used over a length of time become habits and require less effort to accomplish. We teach children dental care habits and healthy nutrition habits why not resilience habits? Thank you for the profound support. I’ve been consciously cultivating my resilience for years using movement, meditation and tapping. Even though I have an ACE score of 6, I am remarkably healthy at almost 58 years old. I see my doctor once a year, and she always tells me how I inspire her to adopt resilience building practices and make healthier choices as well. There is a definitely a huge influence on my body of what i think, how i react to stress, what idecide to put in my mouth, etc. It is a learning process. some address or phones for places are offering 3RP? What do you mean by “Resiliency”. Criminals are resilient! And why do you promote the use of eastern religious techniques and not western religious technique such as “prayer”? It seems to me that this is just big business while prayer is free. So are many other techniques. Why not use and promote free techniques that don’t need so much training. Thank you! Here’s a free technique that will help in resilience building: EFT Tapping. There are many videos on youtube that can guide you in stress relief and many other areas. It’s easy to learn and anyone can do it. My chiropractor also has recommended Cold Laser therapy to me for joint and muscle pain. You know Ruth I have another thought about Resiliency Training. I am 83 and still happily and effectively practicing. My clinical peer group of several decades are all either beginning to retire or in their late sixties and seventies. Our colleagues are retiring and/or dying as are clients. This program is tailor made as well for us. With the loss of the reliable and familiar support of resources within our clinical circles and personal losses as well resiliency is nothing less than a life saver. I would like to take a training program for professionals. Does Nicabm offer one? I highly recommend Low Level Laser Therapy…ALSO KNOWN AS Cold Laser for head injuries–only available in Canada at this time but Harvard behind as it is, has human trial going right now. It works on TBI, PTSD AND joint and muscle pain/injury. An AMAZING treatment. Laser Tx is AMAZING, I agree! I have chronic pain and mindfulness does not work for me. This is because for all chronic pain patients their neurotransmitters have not only become wrongly wired to send pain signals all the time, and this is irreversible, but unlike normal range people ALL their neurotransmitters fire all of the time. I took a mindfulness course but when I become mindful all I feel is a huge amount of pain because that is now the background in my brain. Increase self esteem, reduces anxiety, improved cognition, decreases panic attacks. Resilience training needs to be customized to the person. For example, in my work with the elderly, not everyone is ready to sit and watch the breath or their thoughts. I have one patient who when younger used to walk 5 miles a day. She benefits from short walks and admits it’s because her mind and body enjoy the movement. So by adding walking meditation techniques, she can walk with awareness and note the impact on her level of anxiety while and after the practice. On the other hand, when I introduced sitting and watching the breath she insisted it didn’t help her and refused to practice in order to experiment to see if over time she felt lest nervous. Susan Cohen, LCSW, certified Integral Yoga teacher and graduate of level 1 training from the Mass Mindfulness training course, private practice in Storrs, CT. I don’t really understand what is meant by resilience training? I am an Addictions Counselor with a prior history of a 30 teaching career, and Masters degree. Then I went back to get an Addictions Counselor Certificate so I’m just starting my career in counseling and would very much like to learn about resilience training. Please send me any info you may have if you can. It makes ALL the difference during crisis as well as post-trauma. I’ve seen it in my practice and experienced it first hand when my world turned upside down due to my child’s life-threatening illness. The mindfulness practice, deep breathing, tons of supplements to cope with stress and support adrenals most definitely helped. 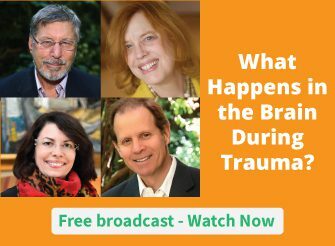 Post trauma can turn into post-growth when we revisit the crisis with mindfulness and use neuroplasticity techniques to change the brain. We are not stuck with a future filled with trauma and fear. Being free of debilitating anxiety and having psych and physical health most definitely decreases other expensive healthcare problems. I have only one worry, and that’s about the orientation of the study. I fear that “fewer visits to healthcare providers” can translate into support for the right-wing movement to rescind the advances made in availability of healthcare for more people. It could be dangerous to pit mindful therapists (good) against the healthcare business (bad). I do certainly agree with all of your conclusions, but want to see healthcare services expanded in both availability to all people and in orientations towards mind-body wholeness. Someone led me to believe that I needed psychiatric as in geriatric help and I dumbfounded the psychiatrist. I have another poem about that. This person went and died on me. What are we all being resilient for or about. Just know the doctors are struggling day to day themselves and just know what they have learned at school same as everyone else. To be completely honest I don’t know whether to go into hysterical laughter or howl like a Wolf You guys all seem to be qualified in something or other and this I with a T on the end is qualified in nothing but breathing day to day and seems to have missed something or T other along the way. If it wasn’t all so serious I would just say lighten up. I love all you guys! Golly G or Oh my God maybe what my mind tells me is right or should say correct!!!!!!!! We are all talking to ourselves. Is there no one else? Just an I with a T at the end is in one of my poems who no one has read but me. When I say I don’t know why I am here I mean in this cosmos or whatever we want to call it. Since “retiring” from the Information Technology world and stepping into my “encore” career as a Tai Chi/mindfulness teacher, I’ve been fortunate to discover dozens of resilient people who have taken their health maintenance into their own hands, and consistently avoid the health industry (and the accompanying insurance industry). I am more and more convinced that doing mindful movement (QIGong and Tai Chi) together is the key to our ongoing resilience and good health. My own physical, emotional, and mental health is enhanced by spending mindful and heartful sessions of movement and meditation with my students, and their self-reported enjoyment of a more resilient way of life has convinced me we are all on the right track. Connection is healing, and connecting through movement in a group builds even deeper resilience. Find yourself a QiGong class. You will love it. Practice yoga at least five time a week and couldn’t live without it while everyone around me is either dying replacing knees and hips or having tumors but I am alone with my health and they all have partners. Did I go wrong or did they. I have always been confused about life the rights and wrongs etc. Have also practiced Qi gong via u tube but no one except the other yoga students believe me. By the way I am 71 today. How can I access residence training? Where do you live Sarah? Here is a thought, NICAB, hooks up with an accredited institution of higher learning to establish a Research Unit to study for this and an other “Alternative” methods of healing and prevention and goes on one or more crowding funding sites to raise the $. There are all kinds of organizations to partner with in our field to energize the effort, the Association for Comprehensive Energy Psychology, Dawson Church’s Organization, Scott Sandland’s Hypnothoughts group, and many. many others. The preferred way to stay healthy is to stay away from all health care providers unless there’s something really serious. For minor things use home remedy’s like your Mother used and Holistic methods. Do positive uplifting fun things. ie Music, creative things, comedy, uplifting movies, giving of you time and talents. I know what I am talking about because I am an Recreation Therapist, which makes me a professional in that area. Exactly….Being a Yoga instructor and having been badly injured in car accident, and trusting Western Medicine for 5 years, after they had really messed me up. I found my healing down in the jungle with medicine men and medicine plants. Yoga and meditation keep me well. I have to agree with all the comments, and in particular Jody’s. We are lacking care and attention for one another in our current society. It makes sense that this alone – contact with the trainers (others who genuinely care) is all we humans need to be resilient. I think this and other research shows how important resilience is and this research seems to add to the conversation. I am also wondering how contact with trainers impacted on the study group’s outcome? My thoughts are that contact/assistance/care from doctors and other medical personnel may influence the frequency of use of medical services. The length of the study may help the researchers address this since I am assuming that once the participants are trained in the use of 3R, they will have fewer contact hours with service providers. More evidence of this kind is fine, bu t industries-health care, insurance, governments, seem to be more interested in profits than improved health. That is not to say all those involved in those organizations are under the influence of greed, but as Emerson wrote – organizations are the extension of the people that make them up. Educational and political solutions are needed. And perhaps research on why we/humans don’t do what we know is healthy for us and the planet would help. Thanks for sharing this study. That is so true. That’s why I have decided to take care of myself. If you have a serious disease please don’t think I mean you. You need your doctor and your medicine. The whole field is based on $$$$$$. It’s not really the Doctors fault. In a lot of cases their hands are tied. That’s why not as many young people are going into the profession. Older professional are retiring too when they could still continue to work, They are all fed up with the government and insurance companies. We can do something We can continue to speak out until we are heard and someone listens. The people in this country still have a voice they just don’t use it. They are too complacsent and busy chasing after money and material things. At Christmas adults don’t need to give each other exspensive gifts. They can give of their time and something they’ve done themselves with their own hands. ( I don’t mean children, toys and Christmas is for them. Maybe their are certain peolple in your business that is an exception) but it’s just a general “novel idea”. Research on Transcendental Meditation done years ago have shown cost in savings to health care. One study was done in the province of Quebec, Canada indicating notable savings in medical costs to the experimental group compared with controls. A giant heart health study in the USA resulted in the AHA endorsing TM as the only form of meditation that reduced Blood Pressure, and also risk to heart attack and stroke. Cost effective. Payment one time for a person to learn – lifetime follow-up as much as person would like – almost anywhere in the world. When will the conventional medical community finally embrace this? It would be such a cost effective thing to do. I meditate regularly. When I don’t I find people and situations irritate me more. I am not a provider of services or a clinician, but agree that is glaringly obvious that mindfulness and good mental health services will have an positive effect on the body. Here in the US, the MDs automatically use what’s in their toolbox: prescription pad or scalpel without considering the alternatives. The insurance companies will not cover the alternatives. I have a $200 wellness account that I can get reimbursed for the cost of wellness programs, such as exercise programs. They won’t pay for MBSR, but an additional aerobics class over what’s covered through the gym membership is fine with them. I’ve submitted the partial cost of tai chi instruction and I’ll see if that gets covered. On the plus side, they do pay for yoga. Yoga is not my thing though. There has been ample studies of the health benefits of mindfulness and meditaton. Whenever I read a news story about the opioid epidemic in the US I get mad. I myself had chronic pain that was being treated by round-the-clock Fentanyl patches. They didn’t help with the pain and then I was addicted to the patches and had to wean myself off them to avoid the unpleasant withdrawal symptoms. MDs are too quick to write these prescriptions and the general public are too quick to want them and take them. They (provider and patient) don’t seem to get that healing involves the mind and body of the patient and that the patient has to do something — there aren’t any magic bullet solutions. I had my right hip replaced unnecessarily and doctors wanted to operate on my spine and/or fuse my vertebrae together (which is high risk and low potential of positive outcome). If all you have is a hammer, everything looks like a nail. This problem needs to be addressed my either the government (via Medicare and Medicaid rules) and by the insurance companies who will find that the cost for MBSR or MBCT or psychotherapy is a lot less than opioid pain meds and the resultant problems or surgeries. I have found that pain management clinics involve trigger point injections, cortisone injections under fluoroscopy (X ray guidance), or prescriptions for pain medications. No suggestions about mental health or even yoga. To be fair to the providers, suggesting mental health services to a patient who is looking for a opioid prescription is generally not successful. A neighbor of mine complained about and left my primary care physician because he suggested counseling after complaints about problems after a car accident. She was indignant about the suggestion. she took it to mean that he thought her complaints weren’t real and were all in her head. I’d like to know w more details about what exactly constituted the resilience training. Thank you for offering this study! torso etc. The hospital had a clinic for each of these separately! The cause of my foot problem was in fact faulty nerve signalling in my lower spine. No chance of finding that out there! With all due respects, Ruth, the findings of the study are glaringly obvious. One does not need to be Albert Einstein, to work out various mind-body interventions can increase resilience and drastically reduce ill health. When will scientists catch up with what clinicians have known for a very long time?! pay. ( I can’t spell, forgive me, no spell check available). I have certainly found this to be true of myself – once I left the NHS and started my counselling training (something I had always wanted to do and found very absorbing) I found that a number of minor allergic conditions known to be stress-related improved enormously. My visits to my GP dropped from one every few months to one a year! I have always advocated a body-mind approach to stress reduction, having been an occupational therapist, and my stressed clients often report how beneficial and calming they have found it to follow my suggestion and engage in enjoyable and mindful activity outdoors. I absolutely agree with the above statement. I’m a qualified nurse and counsellor and now teach Mindfulness and sadly my local doctors surgery won’t even put up my flyer advertising my business! I would tend to agree. Just like physical exercises can improve resilience, mindfulness meditation can probably do the same thing. Personally I often wake up after 4 or 5 hours of sleep and have difficulty falling asleep again. I do go online (even though that is generally not recommended), read some dharma quotes or an article from the Tricycle community. That relaxes my mind enough so when I return to bed I readily fall asleep. In response to this technique which has the risk of leaving the readers brain more awake due to the nature of “screen light”, I often use Buddhify, a guided meditation app. With a variety of short and effective mindfulness meditations specifically targeted to difficulty sleeping, I often fall back asleep before the meditation is finished. I do work with the body with patients – and the mind and body are one holistic unit – what affects the mind and emotions also affects the body and vice-versa.